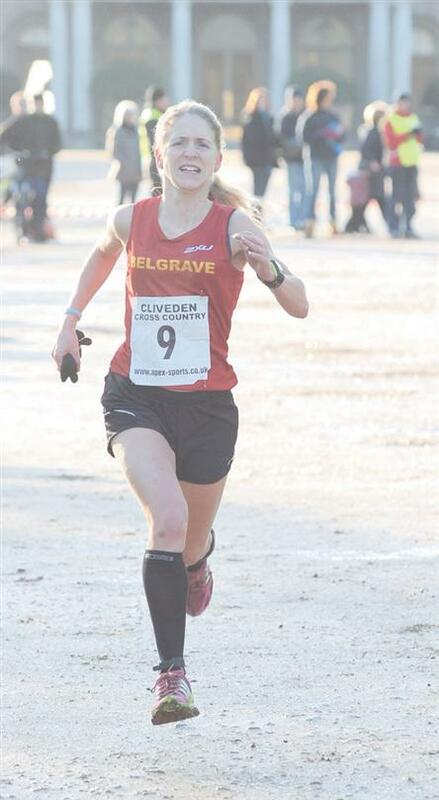 “Sunny weather welcomed hundreds of runners who competed in a six-mile cross country run in the historic grounds of Cliveden House in Taplow yesterday. The warm winter weather was especially welcomed by organisers, the Burnham Joggers, who were forced to cancel the race in 2009 and 2010 following snow and ice. The race started at 10am and took competitors on a gruelling course through the National Trust site, down a muddy hill to the River Thames and up a flight of stairs with more than 70 steps. First across the finish line was 25-year-old Fabian Downs from Milton Keynes who completed the race in 38 minutes and 58 seconds. Samantha Amend was the first woman to cross the finish line in 42 minutes and 32 seconds. The 32-year-old, who competed for England in the Odense Marathon in Denmark last year and was also the eighth woman to finish the Virgin London Marathon, said the course was hard. She said: “The steps were particularly hard but once you get into a rhythm it’s easier. The IT worker from Marlow Bottom Road, who is also organising the Marlow FM Radio Run in May, was supported by her two children Emily, nine and Spencer, three, who cheered her on from the sidelines. The run, which before this year was traditionally staged between Christmas and New Year, has been held for more than 25 years but 2009 and 2010 were the first years it has been cancelled. Most of the entry fee profits will be handed out to local charities, which are nominated by members at the Burnham Joggers AGM. Organisers hope to raise a combined £10,000 from the race and the Burnham Beeches Half Marathon which was held in August.